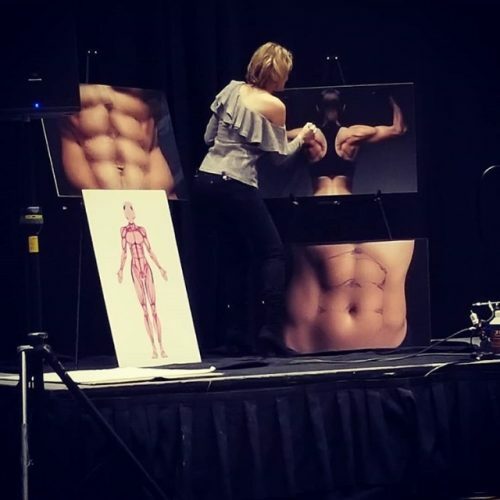 Thank you to Shonna at the Association of Sunless Tanning Professionals for pouring her time and energy into creating another MIND-BLOWING Sunless Summit! This annual event hosts spray tan pros from all over the world, bringing them all together in one room for the BIGGEST networking and learning conference that sunless-only spray tan professionals have ever seen! We are grateful to have been invited back to share Katie’s contouring magic in her Introduction to Contouring for Spray Tan Artists course. Artists enjoyed an introduction into the world of contouring, including a live contouring demo! If you are a spray tanning artist, the Summit is the one event of the year that you CAN’T MISS.